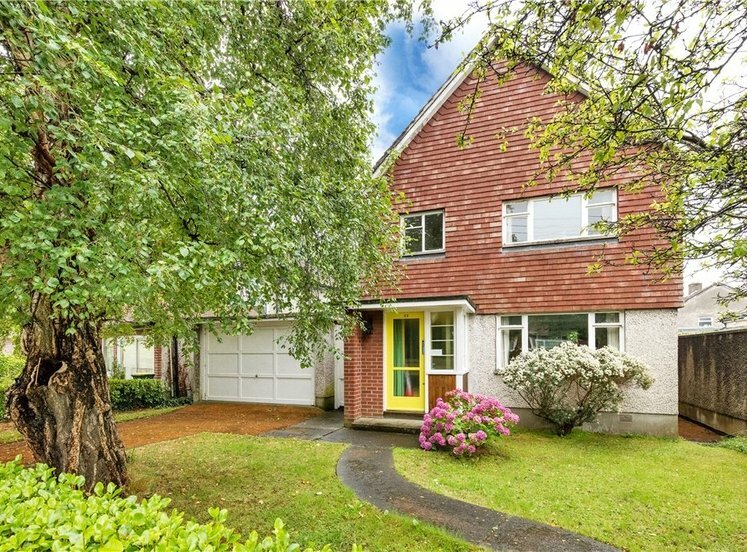 Superbly positioned within a quiet cul-de-sac in this sought after development close to local amenities. 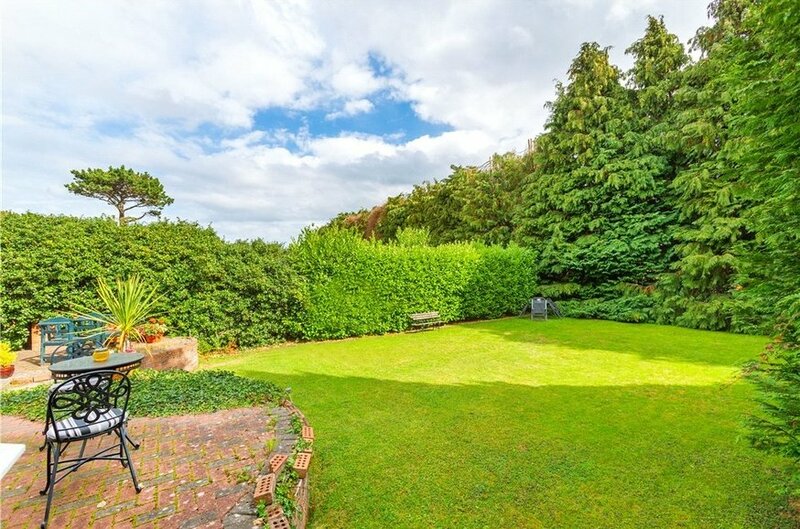 Magnificent private south facing rear garden of approximately 82ft. 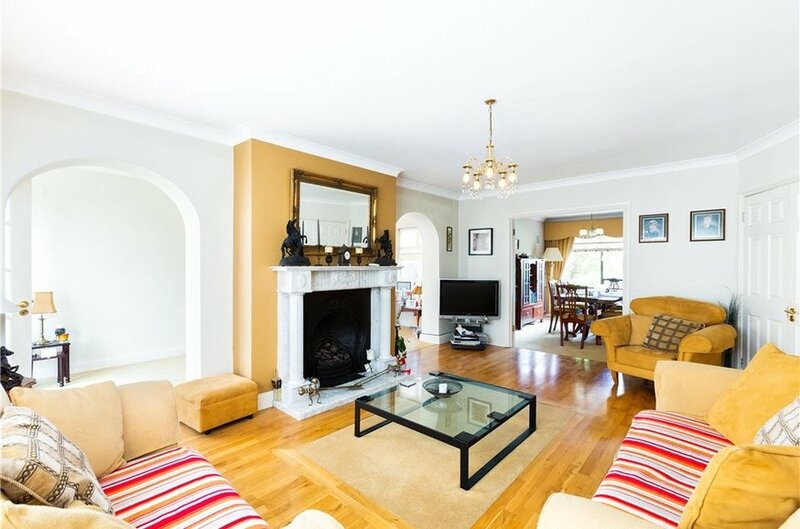 Beautifully presented accommodation extending to approximately 198 sq.m. (2130 sq.ft.). Two fine interconnecting reception rooms. Sale includes kitchen and utility appliances, curtains and light fittings. 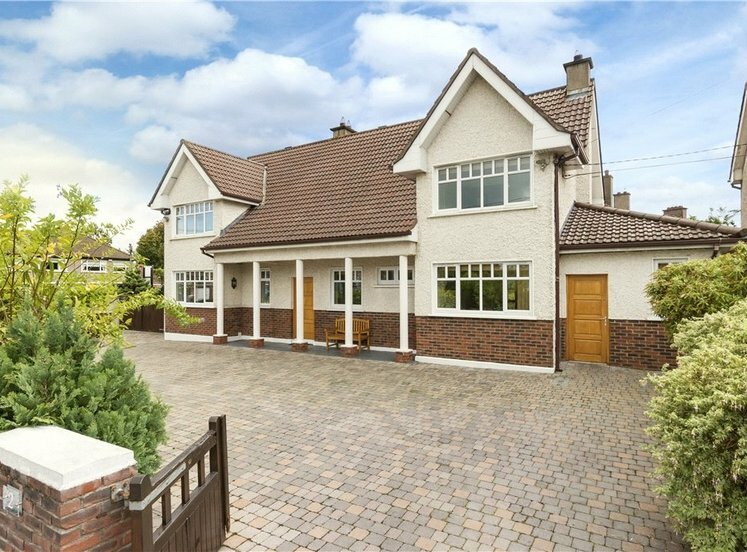 An exceptionally spacious detached family home standing on substantial grounds located in this highly sought after cul-de-sac, within this mature development in the heart of Knocklyon. 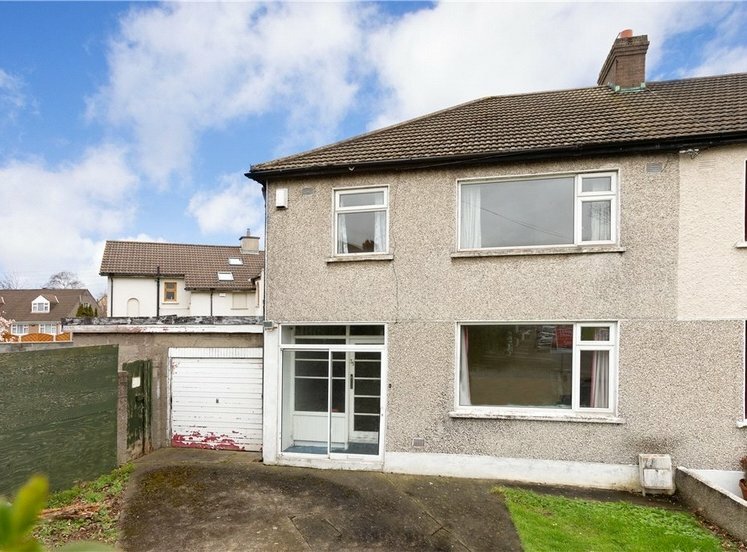 This superb property offers bright well-proportioned accommodation to include a welcoming entrance hall with guest w.c., two interconnecting reception rooms currently in use as a living room and dining room which in turn leads to an attractive sunroom overlooking the secluded south facing rear garden. The fully fitted kitchen comes complete with an excellent range of kitchen units. 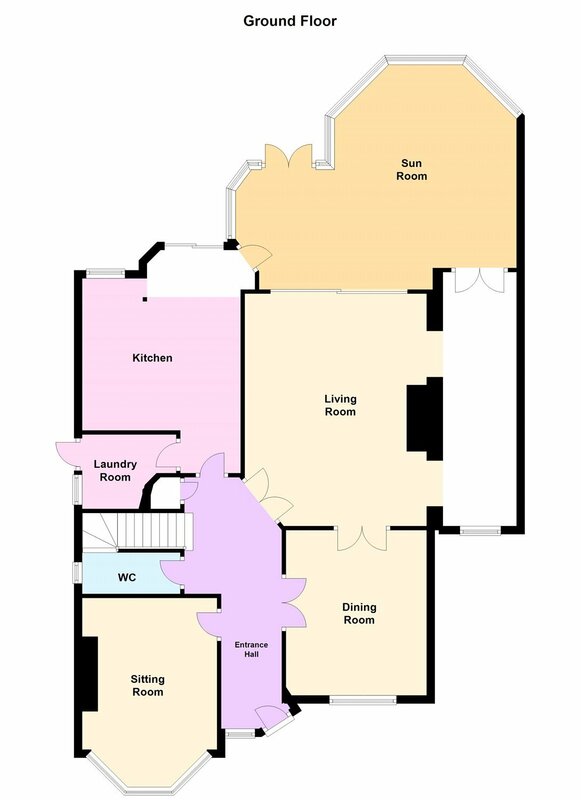 Separate to this is a fully fitted utility room with direct access to the garden. 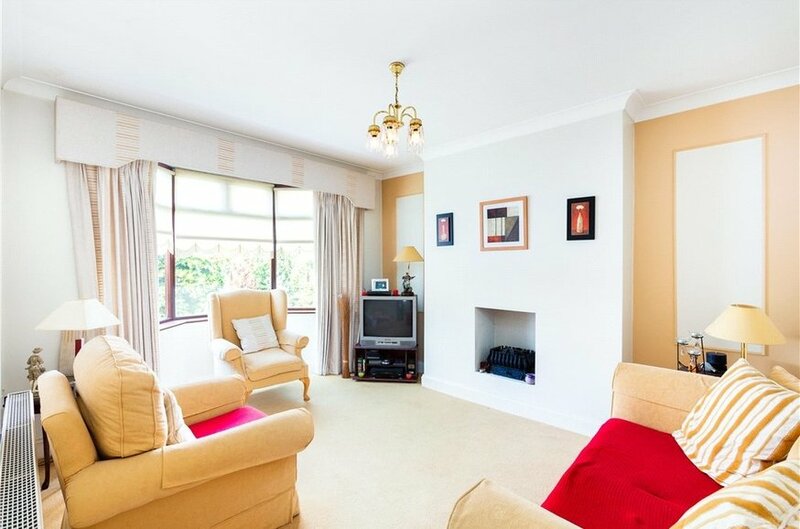 The accommodation at ground floor of this fine family home is complete with a family room overlooking the front garden. 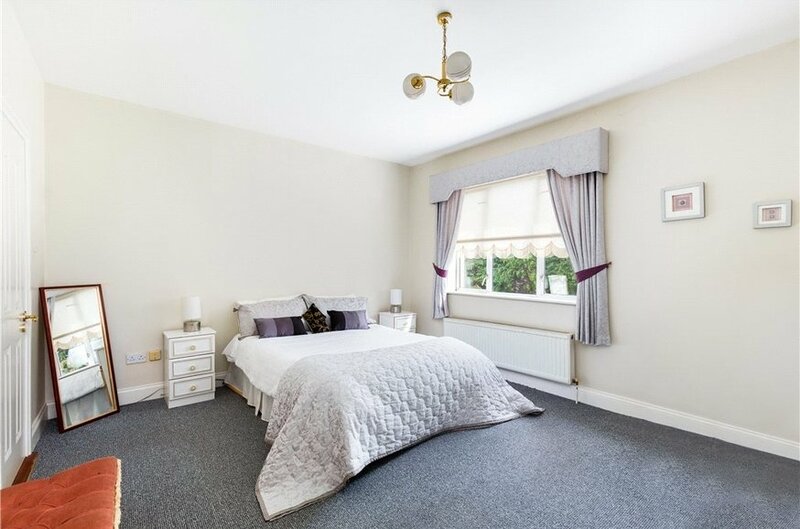 Upstairs and assessed from a spacious landing there are five double bedrooms, master ensuite bathroom and family shower room. 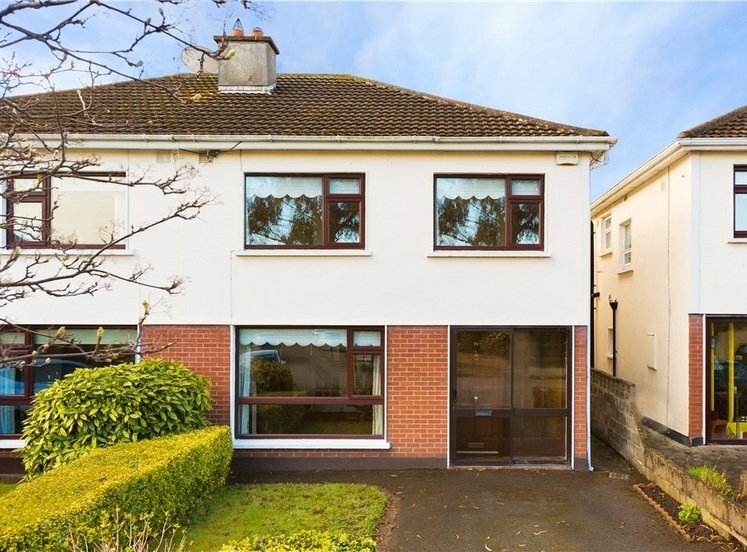 Conveniently located only minutes from the M50 Knocklyon Mews is close to a host of amenities. 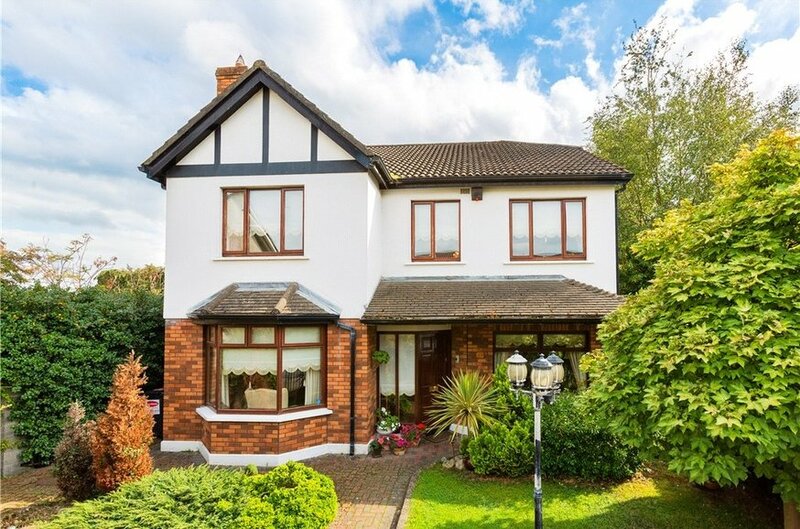 Located on the southwest of the city, just north of the foothills of the Dublin Mountains and south of the line of the River Dodder. It is bordered to the south and east by Rathfarnham and Ballyboden, to the north by Templeogue, and to the west by Firhouse and Ballycullen. The M50 motorway divides Knocklyon, with most of the suburb lying on the east of the motorway. 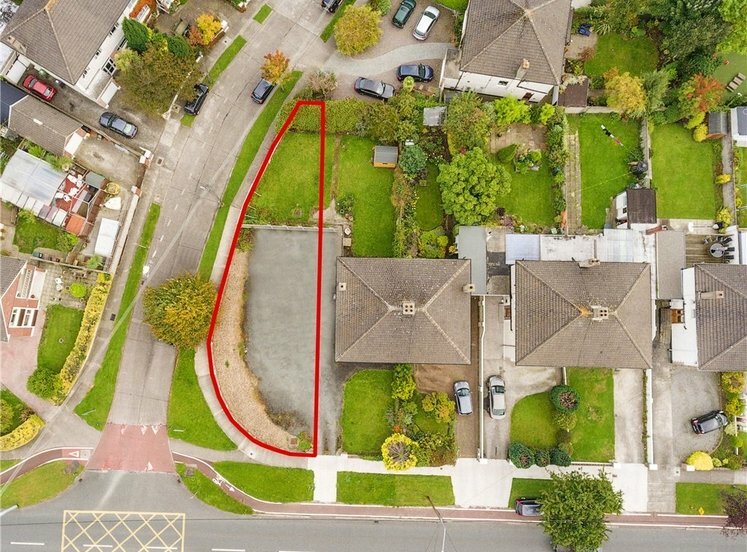 Knocklyon has a number of open spaces within the residential estates and by the River Dodder, including the home ground and playing pitches for both Knocklyon’s Ballyboden St. Enda's GAA Club and Knocklyon Football Club. 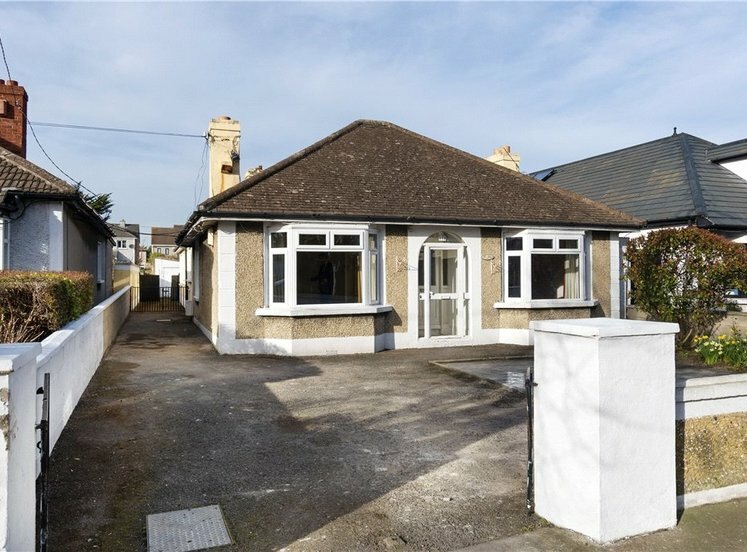 Recreational activities in the area include the second largest branch of the Catholic Boy Scouts of Ireland, the South Dublin Model Railway Club and a division of the St. John Ambulance which provides first aid training and services in the community. Within the area are excellent primary and secondary schools which include St. Colmcilles Junior National School (one of largest primary schools in Europe), Gaelscoil Chnoc Liamhna (an Irish language primary school), St. Colmcilles Senior National School and St. Colmcilles Community College. Knocklyon’s shopping facilities are catered for at Knocklyon Shopping Centre which contains a supermarket and other retail outlets. 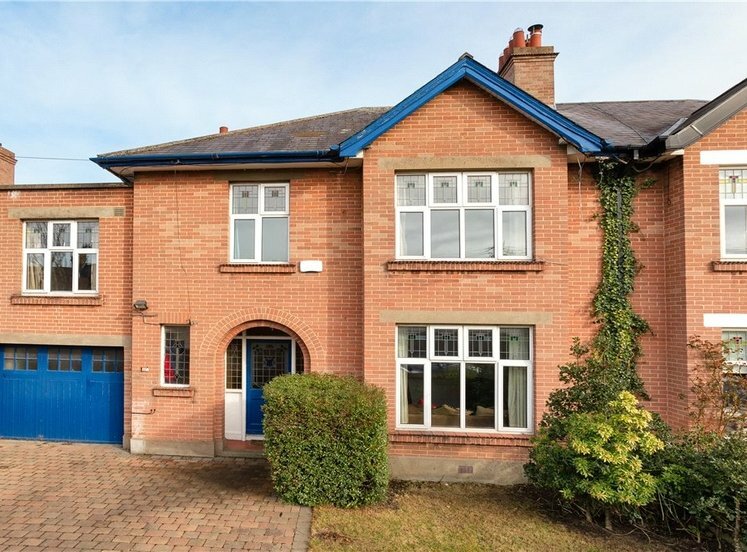 There are also two shopping areas in the Orlagh and Woodstown estates. Restaurants in the area include the Spice Hut, Morton’s Pub and Knocklyon Inn. Knocklyon is served by Dublin Bus routes 15, 49, 65b and 75 which provides ease of access to Dublin City Centre, being just 9km away and the surrounding areas. The M50 motorway is accessed via Junction 12 and connects Knocklyon with the arterial road network and Dublin Airport. with w.c., w.h.b. and understairs store cupboard. bay window and gas fireplace. with feature marble fireplace and wood floor. 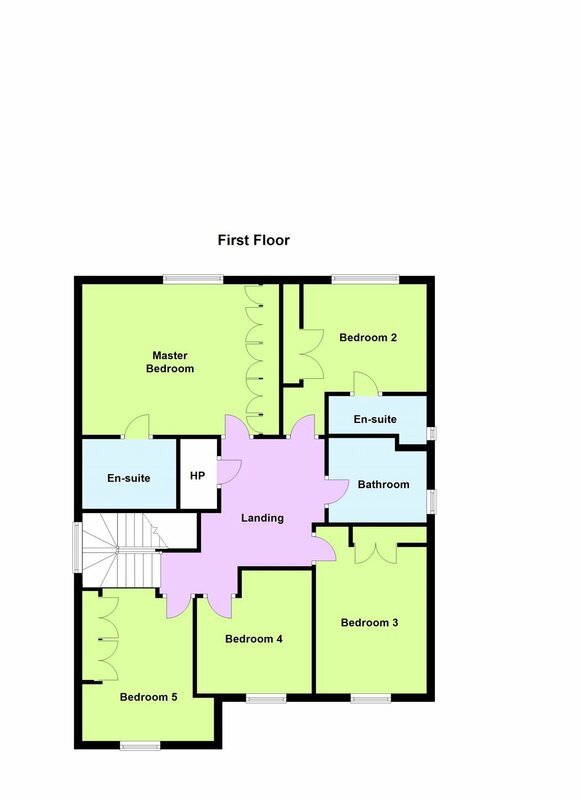 with door to rear garden and tiled floor. modern fitted kitchen with range of cupboard and worktops, gas hob, single oven, microwave, extractor fan, tiled floor, part tiled walls, door to rear garden and door to sun room. with plumbing for washing machine, dryer, storage cupboard and door to side garden. 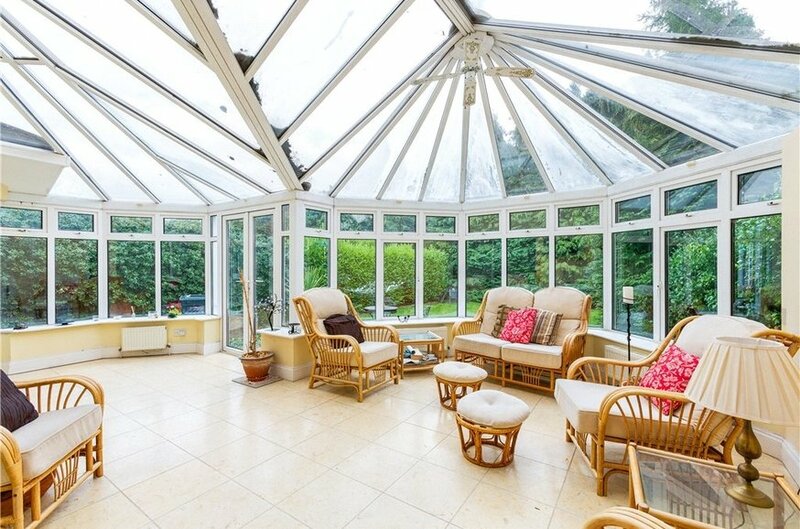 spacious landing area with hotpress. with w.c., w.h.b. and bath. with w.c., w.h.b. and shower. with w.c., w.h.b., Mira Vigour electric shower, fully tiled walls and floors. 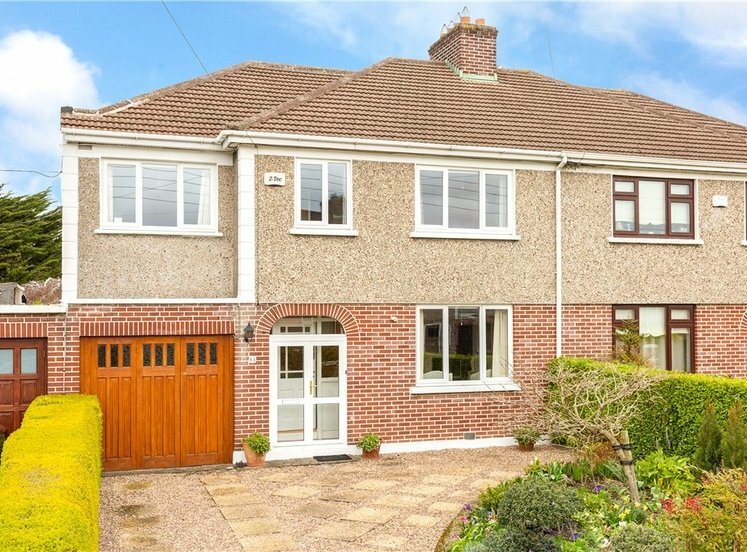 To the front there is a large cobble locked driveway with ample car parking. The garden to the front is lawned and planted and has the added benefit of a garage. To the rear the south facing garden extends to approximately 82ft, is a particular feature of the property and is mainly in lawn with an abundance of mature planting and an attractive patio area. The rear garden offers a high degree of privacy.